As an investment commodity, we’ve been writing about copper for a long time. 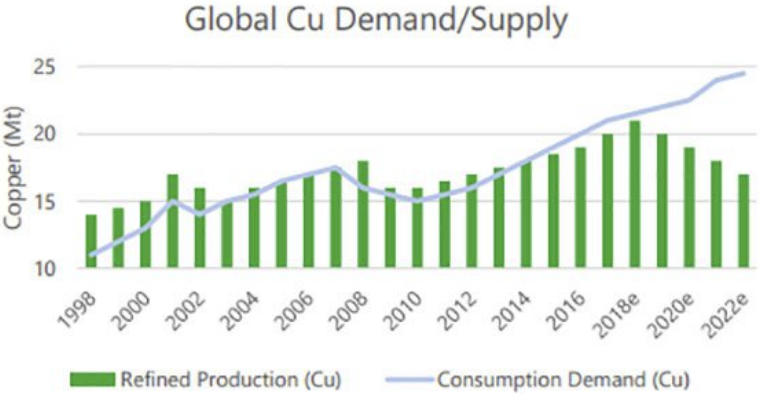 When you look at the supply and demand picture for copper, what isn’t to like, and the fundamentals keep getting better and better. That’s because demand for the “red metal” needed for construction (copper wiring), communications and auto manufacturing, is now being wired in, pun intended, to the tectonic shift of the global transportation system, from reliance on the internal combustion engine to electric vehicles. Copper is an essential component of EVs. That means copper demand is going to soar even higher than it already is. 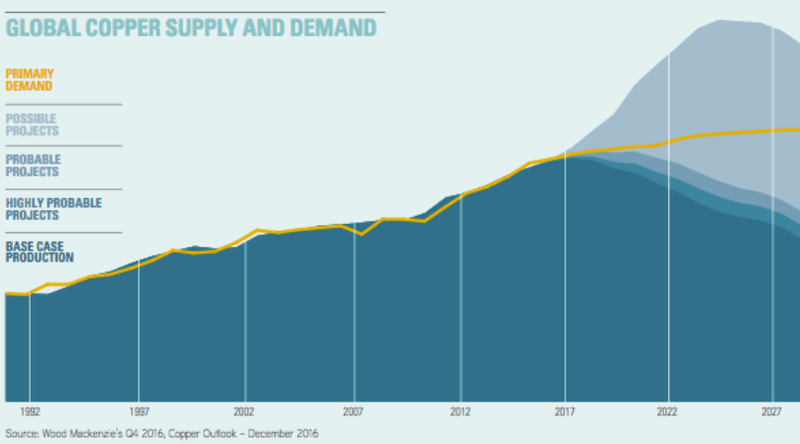 Second, we are on the cusp of a major change in the copper market, where supply is not going to be able to keep up with demand. A supply deficit is expected as soon as 2020. If supply can’t meet demand that means one thing: higher prices. It also means that governments (and companies) will be scrambling to get their hands on new copper properties to meet the demand. Nothing less than their economic growth is at stake. Without copper, construction and the automotive industries would grind to a halt. Maintaining a smooth supply chain is critical to growth. This article will revisit the copper market, in light of some recent changes, indicating why we continue to like it as an investment commodity. We’ll also catch up with our favorite copper explorer, Surge Copper (TSX-V:SURG), whose three great scenarios make it one to watch, especially right now. Surge’s Ootsa property is in British Columbia, an established copper-gold jurisdiction, adjacent to a copper mine and supporting infrastructure, with a successfully completed drill program that identified plenty of targets with upside potential. In a market that’s tightening. The price of copper hit a three-month high in early June of US$3.29 a pound. It lagged over the summer, mostly due to trade tensions between the US and China, the world’s largest copper consumer, along with a high US dollar. Currently copper is trading at $2.84, but the price weakness belies strong market fundamentals that aren’t being priced in. Hedge fund speculators are massively shorting copper, which is weighing heavily on the price. Over 200 copper mines currently in operations will reach the end of their productive life before 2035. Investors and metal traders are also placing great importance on the tariffs enacted by the United States on China, which some believe will cause a slowdown in Chinese economic growth, thus denting the demand for copper. The reality is that China will figure out a way to get the copper it needs, notwithstanding US tariffs. The most likely scenario is through its Made in China and One Belt, One Road initiatives. The latter (BRI) creates a trading orbit involving over 100 countries. It’s estimated that BRI will generate an extra 2.2 million tonnes of copper demand, between now and 2030, worth US$13 billion based on a copper price of $2.75 a pound. But the uncertainty over the effects of the tariffs on China and the copper market in general has major producers holding tight. Freeport McMoRan CEO Richard Adkerson said in a conference call in October that the company is slowing plans for large-scale expansions despite a looming copper deficit. But Adkerson is also bullish longer-term, noting that reduced spending on projects right now will add to the supply gap. So the lagging price is expected to be short-lived. Chilean state copper agency Cochilco lowered its 2019 copper price forecast by a nickel, to $3.05 per pound, but expects to raise it to $3.08 in 2020. Supply deficit. Supply disruptions such as strikes and bad weather always strip out tonnage from the copper production forecasts. Unlike most years, when strikes hobble copper mines in South America (mostly), in 2018 mines have seen labor peace. But despite full-on production, there was a deficit of 50,000 tonnes in the first half of 2018; year-end projections range from 90,000 to 200,000 tonnes in the red. Unless new investments arise, existing mine production will drop from 20 million tonnes to below 12 million tonnes by 2034, leading to a supply shortfall of more than 15 million tonnes. (see chart below). That’s because over 200 copper mines are expected to run out of ore before 2035, with not enough new mines in the pipeline to take their place. Indeed the current copper pipeline is at its lowest this century. Codelco, the Chilean state copper miner, thinks things are going to get worse, in terms of a supply shortage. The company produced the lowest amount of copper this year in the third quarter, with declines in all its mines due to an average 5% reduction in ore grades. Codelco is reportedly investing $36 billion over the next decade to upgrade its mines in order to compensate for falling grades and to maintain production levels. During the first quarter, top 10 copper miner Antofagasta saw its output fall by 10.5% due to lower quality ore. Copper grades have declined about 25% in Chile in the last decade – highlighting the urgent need for grassroots exploration to arrest the trend. Low inventory. 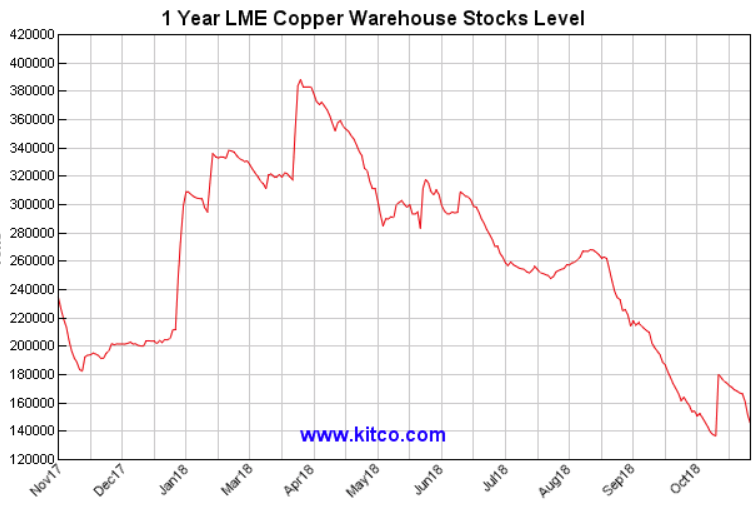 The amount of copper stored in warehouses such as those approved by the London Metal Exchange (LME) have dropped 50% since the beginning of April, and are at lows not seen since December 2016. Chinese imports. 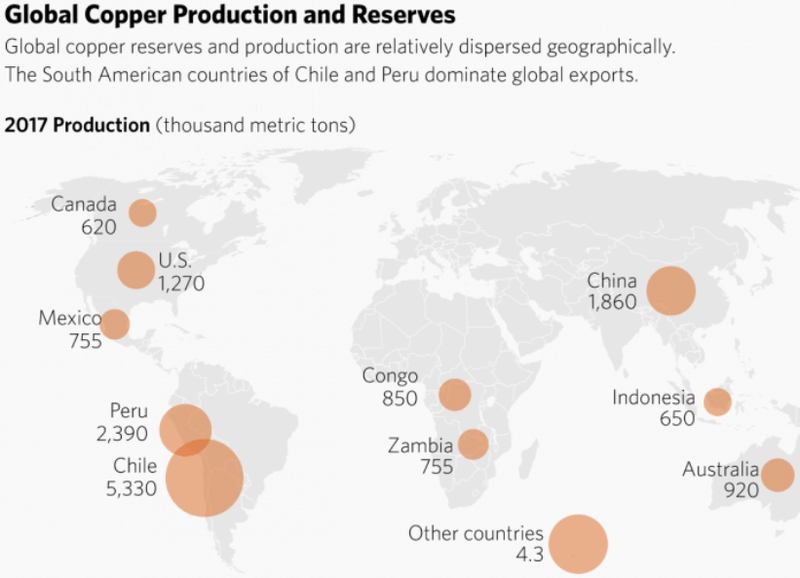 Despite lagging economic growth, China continues to buy a lot of copper. In September the country imported 1.93 million tonnes of copper concentrate. Year to date, refined copper imports have increased by 15%, according to the International Copper Study Group (ICSG). Chinese copper import premiums rose to $120 a tonne in late September, indicating a further tightening of supply. Population growth. The Earth continues to get populated at numbers that will be challenging, if not impossible, to sustain. It’s estimated the global population grows by 85 million a year – putting further strains on scarce resources. Almost a quarter live without electricity. To pull them into the modern era requires copper wire for electricity and copper pipes for plumbing, along with other uses in electronics, telecommunications, transportation and consumer products. Demand. 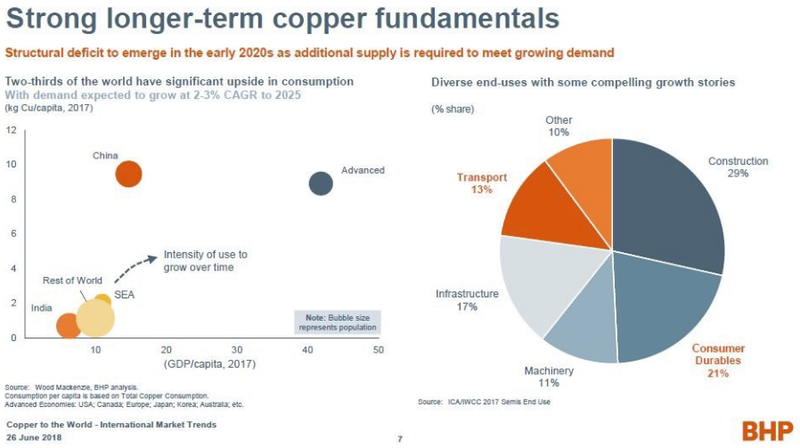 An acceleration in demand for EVs and continued need for copper in China are expected to be the main copper demand drivers. Last year China sold about 700,000 electric cars, 200,000 more than 2016. Beijing sees EVs as the key to unlocking the pollution dilemma that has plagued its car-choked cities; governments across the globe see EVs as a major weapon in the fight against global warming. China represents over a quarter of the global EV market, and will own 40% by 2040 according to the International Energy Agency (IEA). Every major car manufacturer has electric models. Volvo has even promised to phase out internal combustion engines (ICEs) from 2019. France has vowed to end the sale of gasoline and diesel vehicles by 2040; the UK quickly followed suit. Almost a third of cars sold in Norway in 2016 were electric and Germany could outpace its neighbors as Volkswagen aims to become a leader in both EVs and automated vehicles. EVs surpassed 2 million units in 2016 and Bloomberg New Energy Finance predicts they will make up an astounding 54% of new car sales by 2040. A recent infographic is revealing for the amount of copper used in electric vehicles. A Chevy Volt uses almost twice as much copper (80%) as a similar-sized gas-powered Volkswagen Golf. Most of the copper goes into the engine, but it’s also found in wiring and the battery (made up of 8% copper in the Volt). The largest EV battery manufacturer in the world, BYD, used 26 million pounds of copper in 2016. 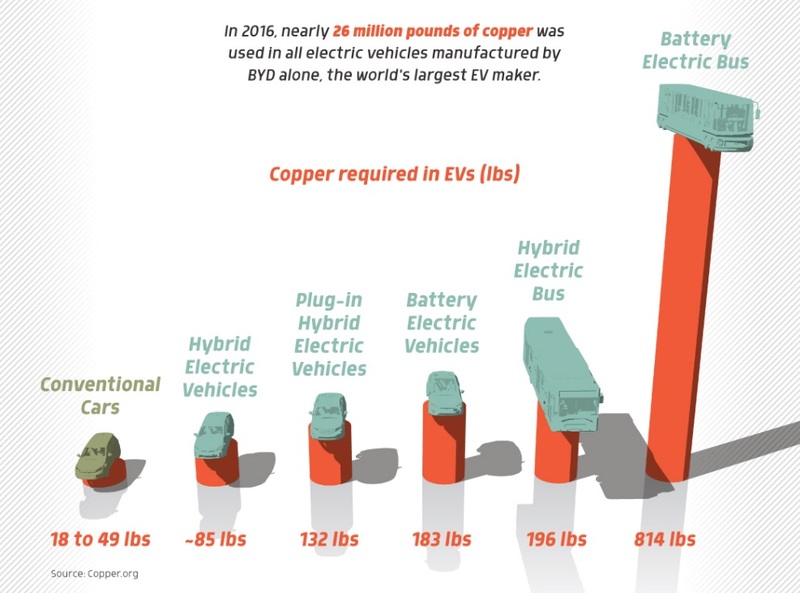 814 pounds of copper goes into an electric bus, a battery-powered electric vehicle has 183 pounds, while a conventional car only has 18 to 40 pounds, according to Copper.org. 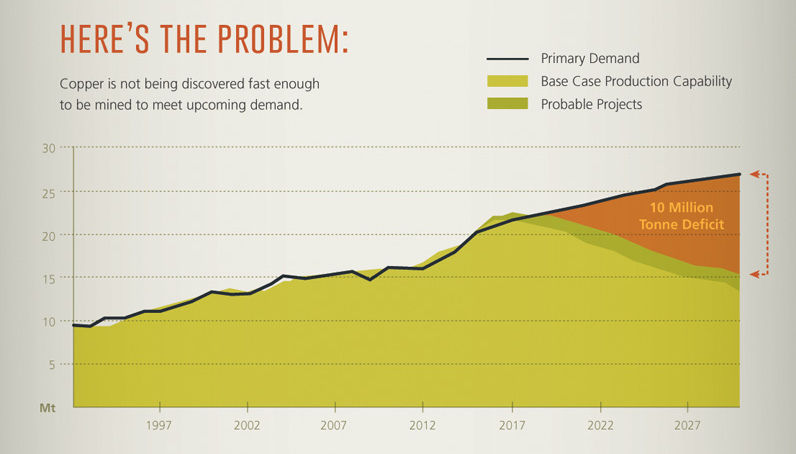 Copper demand for EVs is projected to be nine times higher in 2027 than it was in 2017. 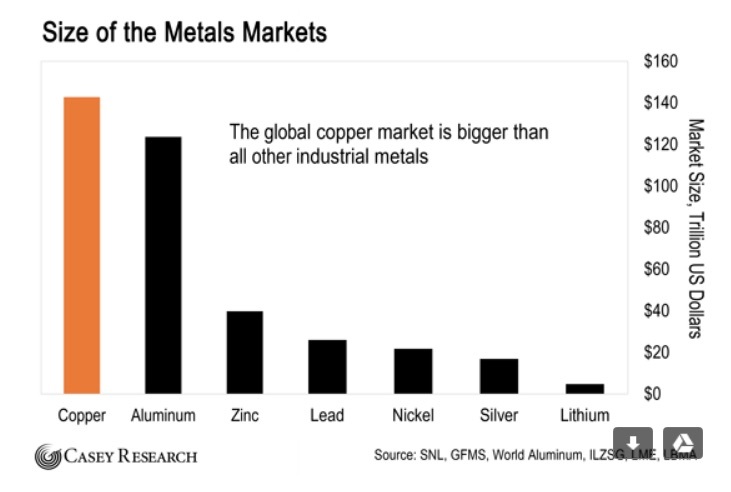 Much of that EV copper will be shipped to China – by far the biggest electric vehicle market. But copper will be used for other purposes there too. In 2017 most copper went to China’s power grid which accounts for almost half of the country’s total copper requirements. The $4-trillion One Belt One Road initiative is meant to open channels between China and its neighbors, mostly through infrastructure investments that will require large quantities of metals including copper. Over half the world’s population will be involved in servicing new Chinese infrastructure, potentially boosting copper use by 1.6 million tonnes, equivalent to 7% of annual demand, mega-miner BHP says. The Beijing-Tianjin-Hebei integration, a $1.5 billion fund that promotes the government’s plan to integrate the economies of Beijing and Tianjin with the surrounding Hebei province. Made in China 2025 initiative, which involves efforts to upgrade Chinese industry through robotics and “smart factories”, for example. The plan also envisions higher-efficiency motor standards, and a more advanced railway network, all of which requires more copper – an additional 232,000 tonnes by 2025. Electric cars. About 375,000 EVs were made in China in 2016 according to consultancy McKinsey & Company – representing 43% of the global market for electric vehicles. China is the leader in the supply of and demand for electric vehicles, overtaking the US in 2016. Six of the 10 biggest EV makers are in China. 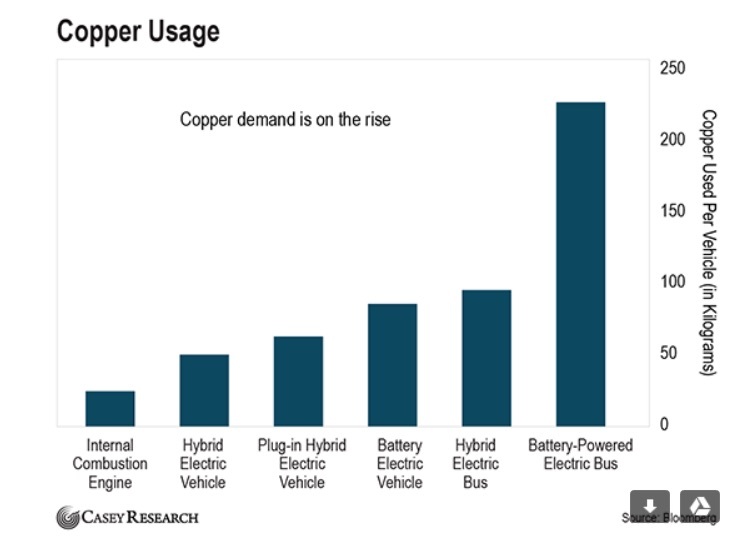 As noted above copper is a necessary component of EVs so as demand for them grows, so will the need for copper. Freeport McMoRan is going to have much less material available for sale in 2018. Its Grasberg mine in Indonesia is going to start transitioning from open-pit to underground mining. Freeport’s third-quarter guidance says output will drop to around 250,000 tonnes from 2017’s expected 525,000 tonnes. In July we were lamenting the lack of copper mining M&A. The problem then was that companies that had copper mines didn’t want to sell. Barrick Gold, which took over Randgold Resources recently in a $6.1 billion deal, wants to get back into copper. The world’s largest gold miner is looking to expand its presence in Africa including acquiring assets in the DRC. Toronto-based Barrick is also interested in South America’s Guyana Shield, which includes Suriname, Guyana and French Guyana, according to an investor presentation in London. To help pay for new acquisitions, Barrick is selling its Lagunas Norte gold mine in Peru. Barrick though will likely be cautious in making any major copper deals, recalling its disastrous purchase in 2011 of Equinox Minerals, paying US$7.3 billion at the top of the market. When mining took a downturn, Barrick was forced to take a 4.2 billion writedown mostly due to the struggling Equinox prize, the Lumwana copper mine in Zambia. Multi-mineral behemoth Rio Tinto is rumored to be setting up an offer for a minority stake in Teck Resources’ Quebrana Blanca copper mine in northern Chile. Teck wants to do a $4.8 billion expansion at the mine but needs a partner to invest up to $2 billion in exchange for a 30-40% stake. Canada’s largest miner currently owns 90% of it. Interest in the sale is attracting a lot of attention especially from Asian buyers, namely Mitsubishi and Sumitomo who have emerged as potential bidders. The expansion known as QB2 would be the next big project for Teck to get its teeth into now that its Fort Hills oilsands project in Alberta is nearing full production. QB2 would produce 300,000 tonnes of copper a year for five years, plus molybdenum. Two smaller deals have also been completed. Xiana Mining (formerly Dorata Resources) acquired Glencore’s Minera Altos de Punitaqui – a copper-gold producer that has three mines in Chile, a concentrator and exploration licenses. The agreement was for $25 million plus a 1.5% net smelter royalty. Canadian company Solaris Copper, spun out of Equinox Gold, sold 80% of its Ricardo property in Chile to Freeport McMoRan. Under an earn-in agreement, Freeport can earn a majority interest in the project by spending $130 million in exploration, or $30 million plus a feasibility study. The early-stage project is 25 km from Codelco’s Chuquicamata mine, the world’s largest open-pit copper mine. With a supply deficit coming, majors and mid tiers hunting for new deposits will be looking at existing copper-gold jurisdictions that are low risk and where infrastructure is already in place. One of these is British Columbia, which has a long history of copper-gold mining. Surge Copper (TSX-V:SURG) is developing its Ootsa property a short drive off-road from Smithers, where the company just completed a 2,137m drilling program. The last drill hole results were published this week. The highlight is the discovery of a new gold zone between the East Seel and Damascus deposits. One of the two drill holes that were testing the Damascus Horst (an uplifted block), intersected 9.2 grams per tonne over 2 meters, 130 meters down-hole, along the West Damascus Fault. The other hole found 0.6 g/t over 2 meters at 150m depth. Holes S18-216 and 217 also intersected copper-gold mineralization “associated with narrow zones of altered porphyritic intrusive rock,” the press release states, including 6-meter intersections of 0.26% copper and 0.15 g/t silver, and 0.34% copper and 0.16 g/t silver. The significance of the dikes was explained by Dr. Shane Ebert, Surge Copper’s CEO and head geologist. In a phone call with Ahead of the Herd, Ebert said dikes (newer rock running vertical between older layers of rock) are often found around porphyries. Porphyry-style mineralization by definition is large and bulk-mineable, with a series of sulfide-rich veinlets running through the rock. The material is either bulk-mined underground or in an open pit, where the ore is crushed and run through a flotation cell, which turns it into a concentrate. In this case, dikes have been identified but not the source, which is hopefully a copper porphyry. Think of the dikes as the tentacles of an octopus. It’s not yet known in which direction the drills need to follow the tentacles to find the body and the head. The fact that Surge has found similar-aged rocks in the Damascus Horst as in the East Seel deposit, where the richest ore has been found, is also encouraging. “What we didn’t know before this program is the deeper rocks come to surface in that zone. We see younger rocks covering things as we go east, but now we have a big, significant target area where they’ve been brought to surface and there’s the potential to find more,” said Ebert. Reflecting on the 2018 drill program, although Surge hasn’t yet hit the dream porphyry that would add another 20-24 million tonnes to the current 224 million tonnes of measured and indicated resources, Ebert said he’s happy with the new information gleaned. 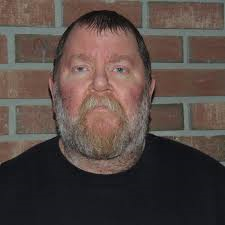 Indeed while Surge was not successful in 2018 in adding the necessary stand alone tonnage to Ootsa, all of the holes drilled this past summer came back mineralized. The first hole stepped out 50 meters from the north side of the East Seel deposit. Hole S18-211 intersected 202 meters of continuous mineralization grading 0.5% copper equivalent, from the start of the bedrock at 7.8m in, to the end of the hole at 209.9m. A higher-grade section contained 0.77% copper over 52 meters. For perspective, most copper mines in BC are under 0.4% copper, so the grades were above-average. The results were an excellent start to the drill program, and indicated the possibility of new breccia and porphyry-style zones that could substantially increase the mineralization. Next was a 22m intersection on Hole 214, which hit 1.5% copper-equivalent (Cu Eq), within a larger interval containing 48m at 0.7% Cu Eq. Meanwhile Hole 212, from which assays were published Aug. 9, also returned excellent results, with a 22m intersection grading 0.5% copper equivalent including 6m of 1.2% Cu Eq. Holes 212 and 214 are in the high-grade breccia zone we introduced, along with a new porphyry target, in our 18 update on SURG, which also described our site visit. The mineralization occurs as a sulfide rich breccia matrix and in sulfide veins and veinlets and is best developed between about 218 and 296 metres depth. Hole S18-214 encountered 55.3 metres of overburden prior to hitting highly altered bedrock, and intersected sulfide breccia mineralization from 91 to 120 metres depth with weaker breccia below. We remind readers that the Ootsa project is at an advanced stage, with a preliminary economic assessment already filed. The current PEA has the potential for a 12-year mine that would produce 324 million pounds of copper, 185,000 ounces of gold, 15.8 million pounds molybdenum and 3 million ounces of silver. The report specifies a contract mining and toll milling scenario using Imperial Metals’ mill – where the Ootsa operation would produce at 20,000 tonnes a day, around the same as Huckleberry before it shut down. Historical exploration at Ootsa has seen 144,000 meters drilled, with over 350 holes punched into the low-lying topography. Three deposits – Ox, East Seel and West Seel – have been discovered. Surge Copper’s 2018 exploration plan involved exploring around the edges of the East Seel deposit which has the highest grades among the three Ootsa deposits (40 to 50-meter intersections of nearly 0.75% to 1% copper). Adding 20 to 24 million tonnes would enable Surge to comfortably run a stand-alone operation ie. a mine that could function without any involvement from neighboring Huckleberry Mine, owned by Imperial Metals but currently on care and maintenance. Read our Surge Copper: 3 great scenarios for an explanation of the company’s options: partnering with Imperial Metals in operating a new mine; going it alone by growing the resource to a point where it doesn’t need Imperial, likely with third-party backing; or getting bought out by a major or mid-tier mining company. Having completed its 2018 exploration program, Surge Copper will have the winter to mull over the drill core and decide what will happen next summer at Ootsa. As far as we’re concerned, the company is in an excellent position, having opened up a host of new prospects by stepping out from the East Seel deposit, that will need to be followed up. The discovery of a high-grade breccia zone, a new gold zone, plus indications of another copper porphyry are bound to be intriguing to a potential acquirer. We remain optimistic that a deal can be cut with Imperial Metals, owner of the closed Huckleberry Mine, which would provide Imperial with more feed for its mill to extend Huckleberry’s life beyond the expected five more years. 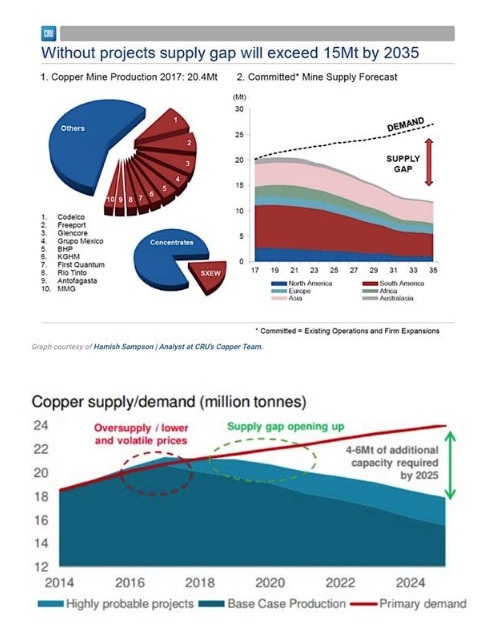 Even if Huckleberry were to restart, say if copper prices rise beyond $3.00, without Surge Copper, that would give Surge five years of exploration to further delineate the resource at Ootsa, making it even more attractive to an acquirer. The timing is good too. 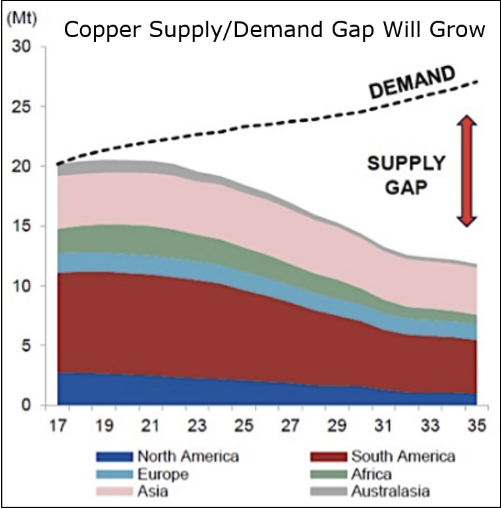 The copper market is entering a period of supply imbalance, where demand is expected to outstrip supply. Major miners are already trying to get their hands on more of the red metal, in anticipation of the deficit. What better place to look than Ootsa, located next to a copper mine with infrastructure, in British Columbia, a safe jurisdiction with a lot of mining history and experience. For all these reasons I have SURG on my radar and own shares.